When the ambitious Belt and Road initiative – with projects reportedly worth $1 trillion – was first announced by President Xi Jinping in the autumn of 2013, many were sceptical of this Chinese move aimed at building up economic connectivity of 65 nations (China plus 64) along its ancient silk road and maritime routes. For China, this New Silk Road would also serve to redirect the country’s domestic overcapacity and capital for regional infrastructure development to improve trade and ties with Asean, South Asian and European countries. China’s approach in engaging Asian countries? This is partly responsible for China’s surge as one of the major economic influences on the continent. For example Sri Lanka’s debt maturities in 2019-22 total $13.9 b. Despite port agreement bolstering reserves, foreign reserves challenges expected to remain. Many analysts say that the Hambantota Port deal signed resulting in an inflow of $ 1.12 billion is credit positive for Sri Lanka because it will boost foreign exchange reserves, which will ease the Government’s external liquidity position ahead of several large international bond payments in 2019-22. The Hambantota Port stake sale will feed into the Central Bank’s foreign exchange reserves, which will help bolster investor confidence and encourage future portfolio inflows. Importantly, the sale will allow the Government to set aside earnings to repay its upcoming debt maturities and reduce its external debt, a key constraint on Sri Lanka’s credit quality. External debt maturities in 2019-22 total $ 13.9 billion. Sri Lanka’s BOP position remains vulnerable after foreign currency reserves materially declined in late 2016 and early 2017. More recently, reserves have risen somewhat because of capital inflows from international sovereign bond issuance and syndicated loans. As of June, gross official foreign exchange reserves (including gold and special drawing rights) were $6.9 billion. The foreign currency reserves portion of gross reserves was slightly under $ 6 billion, covering about3.75 months of imports, just above the International Monetary Fund’s (IMF) minimum reserves adequacy threshold of three months. The Central Bank of Sri Lanka intends to increase gross official reserve assets to at least $7.4 billion by the end of 2017, in accordance with the targets under Sri Lanka’s current three-year IMF Extended Fund Facility program. The market expects the Central Bank to come close to its target, which would help support the country’s credit quality. Moving forward, greater exchange-rate flexibility and more limited foreign-exchange interventions by the Central Bank would help preserve reserves. Although the Hambantota receipts will ease external pressures, the foreign exchange challenges will continue to remain, given persistent elevated Government debt and large borrowing requirements. Furthermore Sri Lanka’s external vulnerability indicator, which measures the ratio of external debt payments that are due over the next year to foreign-exchange reserves, to rise to about 185% in 2017 from around 150% in 2016. 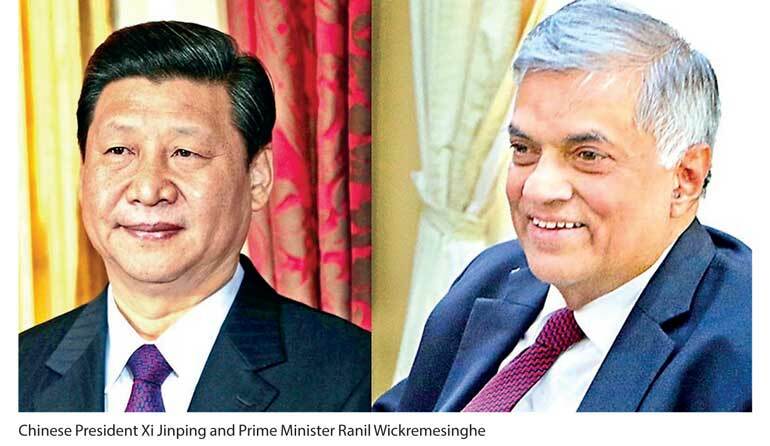 Development of the broader Hambantota Port area and the industrial zone will help to bring in Foreign Direct Investment, especially from China to ease the pressure. The build-up of associated infrastructure surrounding the port also can help to attract greater private-sector investments. If the country is led well, this together with other ongoing development projects such as the Western Region Megapolis Plan and Colombo Financial City Project, will provide a stable source of financing for Sri Lanka’s external position and support economic growth. The final sign-off of the long-pending port deal and the transfer of the money and also the proposed arrangement with India for Mattala Airport will allow the Government to focus on key priorities, including advancing economic and structural reforms under its IMF program that would help the island economy to focus on an export driven growth model led by private investment. In addition the tourism sector, one of the top foreign currency earners, needs to be positioned as a high-value destination, reflecting Sri Lanka’s natural and cultural heritage to achieve its full potential.